Online inventory manager (OIM) is a management application that gives you full insight on your inventory activity and keeps historical records of every single transaction. It helps you track the inventory levels to avoid overstocks and outages. It’s easy to use, and makes you more productive. 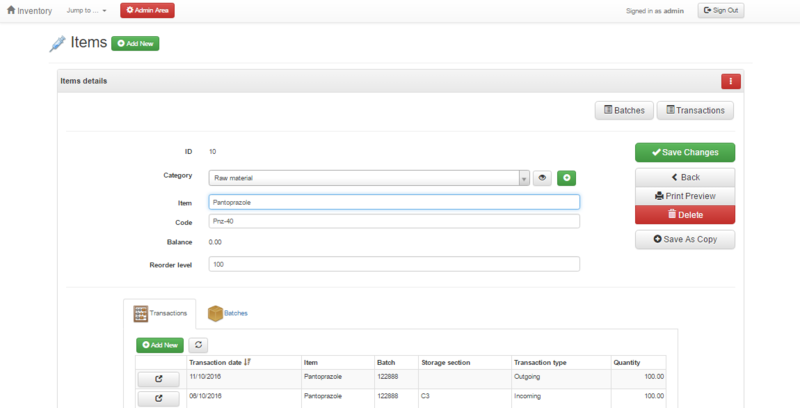 Organize your inventory data, see where exactly each item is stored, all related actions and the most updated balance. Online rental property manager (ORPM) allows you to manage your rental properties, units, applications, leases and tenants. 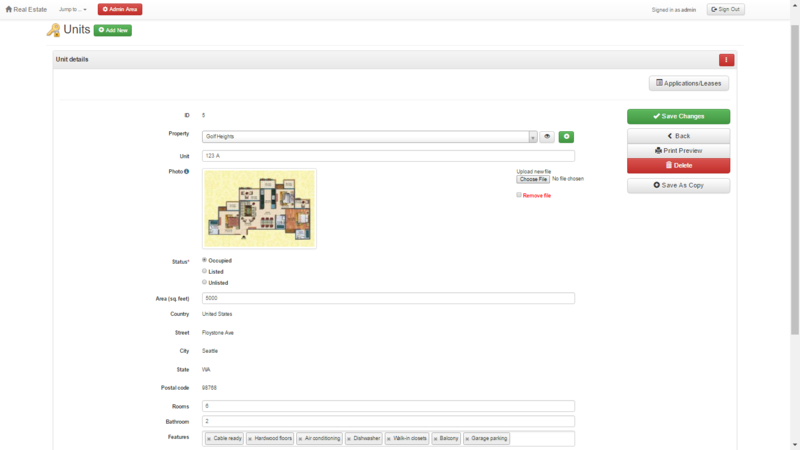 Add all details related to the tenants, i.e. references, rental history, employment history and income overview. 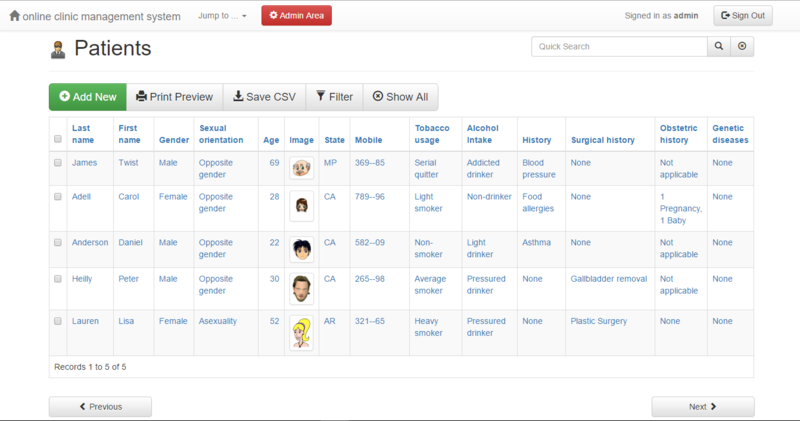 ORPM was creating using AppGini, so you can easily modify it without writing any code. Online Training Center Manager (OTCM) is an application generated by AppGini that offers you a feature rich and user friendly training center database application. It assists you in tracking your trainees, Instructors, courses and labs. You can also print training certificates, as well as easily customize the application to add reports and extra functionality. If your business is project-based, you typically have a team working with many projects. Each project has a start and an end date, and each team member might be working on a project for a specific period then moving to another project, or even be working on multiple projects at the same time, dividing his/her time between them. It can get really tricky trying to figure out the schedule and availability of each team member. RUView - Resource Utilization Viewer helps visualize all the resource utilization data in one simple chart that instantly shows you who's working on what and when. Online Clinic Management System (OCMS) is a web/intranet application written in PHP that can be used as a database for storing patients data, history, documents, diseases, and symptoms. Most of the code of OCMS was automatically generated by AppGini. Online Invoicing System is a Web application that can be used for simple invoicing needs. To use Simple Invoicing, define your clients, then go to the Invoices page to add a new invoice and define its details, after which the new invoice is ready for printing.